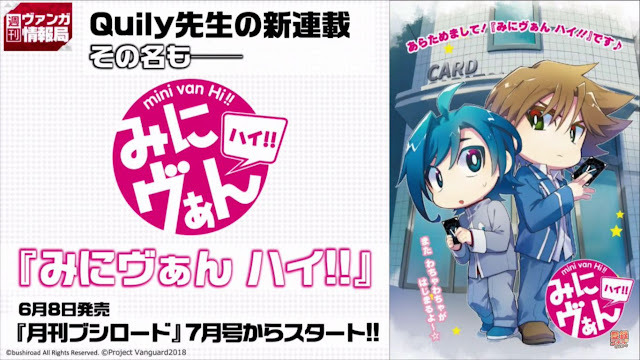 Beginning in the upcoming July issue of Monthly Bushiroad, out June 8th, a new manga by Mini Vanguard gag manga author Quily based on the new Vanguard anime will begin, MiniVan Hi!! 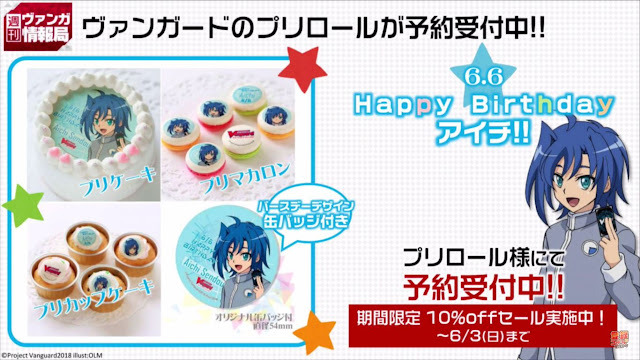 Prototype Gift Markers will be available as part of the Get! 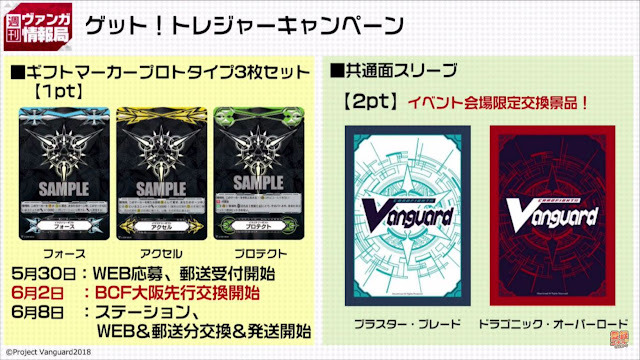 Treasure Campaign; one Force, Accel, and Protect Marker packaged together, exchangeable for 1 point beginning May 30th. Fighters pull points in Japanese boxes and redeem them for these prizes. 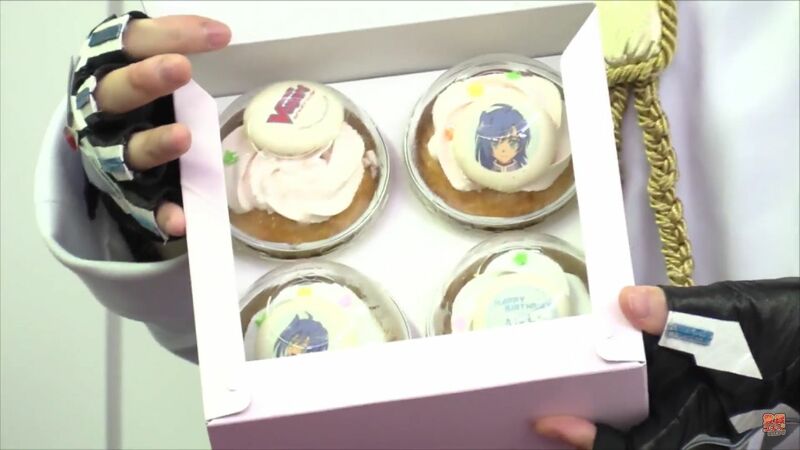 Happy Birthday Aichi!! 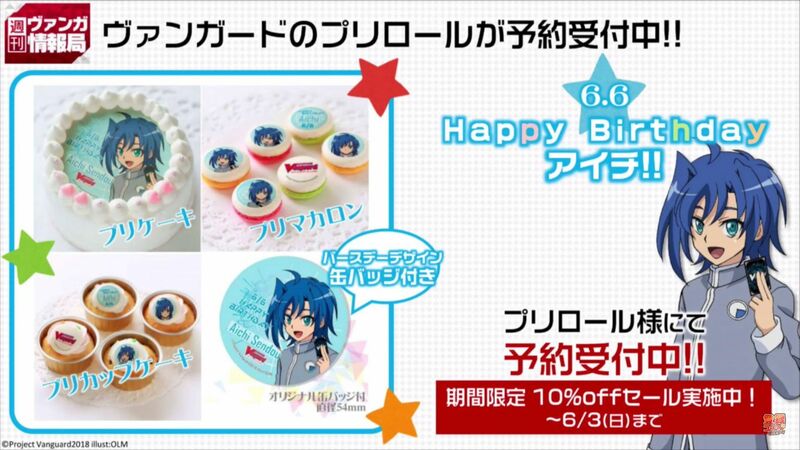 Vanguard goods, commemorating Aichi's birthday on June 6th. Cakes, macaroons, and cupcakes. 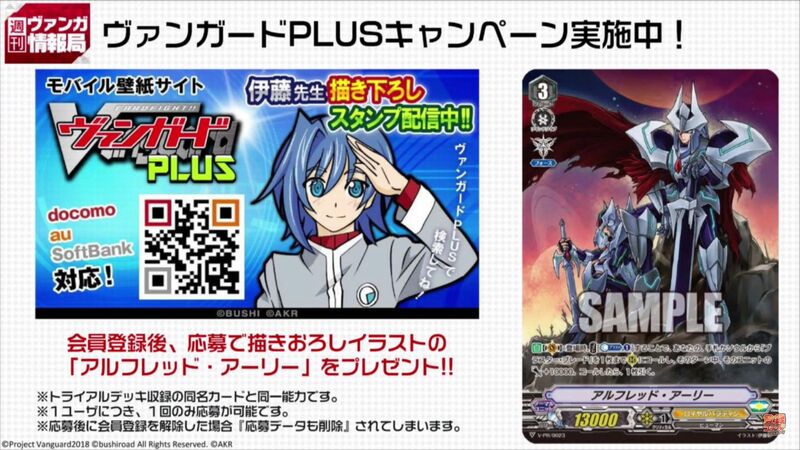 Alternate artwork Alfred Early, being given out in Japan as part of the Vanguard Plus campaign.